Places filling fast for 2012 Walk the Line Challenge in aid of Dublin & Wicklow Mountain Rescue Team. Registration is now open and places are filling up fast for the 2012 Walk the Line Challenge, which is proudly supported by Great Outdoors. 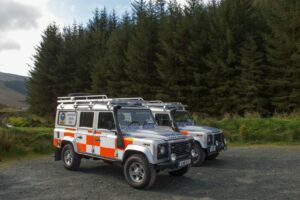 Run in aid of the Dublin & Wicklow Mountain Rescue Team (DWMRT), this event takes place on June 23rd and will see participants take to the mountains for either a 20km or 30km hike or run. 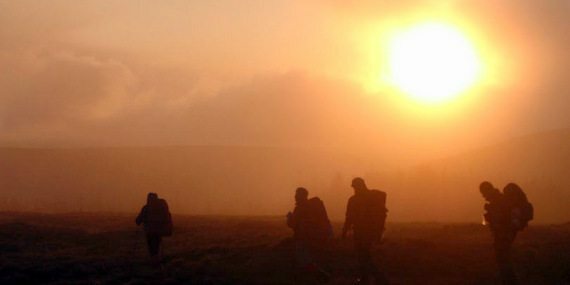 Participants will start at midnight and hike through dawn. To make the most of the summer solstice it is planned that all participants will be on the top of one of these peaks at sunrise. Numbers are limited to 300 entrants so sign up quick at www.walktheline.ie. Registration costs just €25 but participants are asked to raise a further €75 in sponsorship. If you’re interested in the challenge but would like to know more before, why not join us at Great Outdoors on Chatham St on Wednesday May 30th at 7pm for an information evening detailing everything you’ll need to know for the event. We’ll tell you all about the route which traces the county boundary of the Dublin and Wicklow Mountains and about all the gear you’ll need, as well as offering great discounts on the night. Walk the Line will raise vital funds for DWMRT which, over the past year, has responded to 70 emergency callouts. Approximately 40 volunteers make up the team. They come from a wide variety of backgrounds but share the common goal of saving lives in wild and remote places. The team covers an area of 320 square miles that spans Dublin, Wicklow and up to the Cooley Mountains in Co Louth. Last year Walk the Line raised over €38,000 which was used to purchase a new Land Rover emergency vehicle. This year with the support of the Walk the Line participants, the team hopes to buy additional life-saving equipment and adapt the vehicle so that it can carry a stretcher to extract injured people from remote areas quickly and safely.